SEEBURGER is honored to be featured in the 2019 CRN Partner Program Guide. 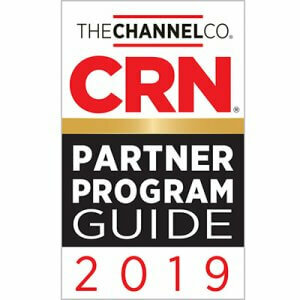 The CRN annual guide identifies the strongest and most successful partner programs in the channel today, and we are so proud to be part of this exclusive list of amazing vendors. This recognition highlights our commitment to helping our customers achieve digital transformation through our alliances. 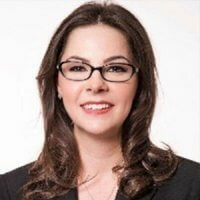 Last year SEEBURGER relaunched our enhanced global partner program. We support partners by enabling them with the software and services needed to deliver bundled and fully integrated solutions to customers. Our goal is to make it easy for partners to accelerate profitability, acquire new customers, and ramp up quickly. Partners are a critical component to our growth initiatives, so we have put together a best-in-class partner onboarding process. As an extension of our sales team, partners increase the value that we provide to our customers through strategic offerings. It is our privilege to collaborate with these amazing partners from around the world, and we want our partner program to support this synergy. Our program provides financial incentives, marketing content, and technical resources to ensure that the relationship is profitable and well worth the commitment. SEEBURGER partners play a key role in helping organizations maximize application and ERP investments and consolidate B2B integration technologies, to enable digital transformation. Partners achieve technical acumen in our specialty areas such as MFT, API, IOT, Industry 4.0, E-invoicing, and SEEBURGER Cloud. They are an extension of our sales, marketing and services force and increase the value that we provide to our clients. When partners team with us, we provide them with the tools to help them successfully realize their goals. We embrace creative ideas and are always looking for ways to develop joint offerings with our strategic alliances that will generate new revenue streams. Visit our alliance’s page to learn more about the SEEBURGER Partner Program and download our guide. Here you can also submit a partner application and join our partner ecosystem. SEEBURGER will be introducing other partner initiatives in 2019 and beyond, so stay tuned for more updates. Follow us on LinkedIn or Twitter for the latest news.